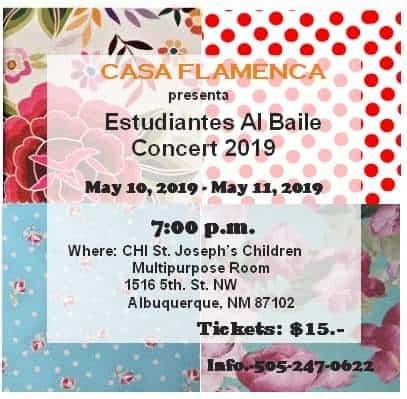 Casa Flamenca presents our annual student performance! Come see what we’ve been up to! Purchase tickets below or call 505-247-0622 (please note all PayPal ticket sales include $0.74 PayPal fee per ticket).